Earlier this month, CNDLS launched a new mini-site under the Teaching & Technology section of its website. 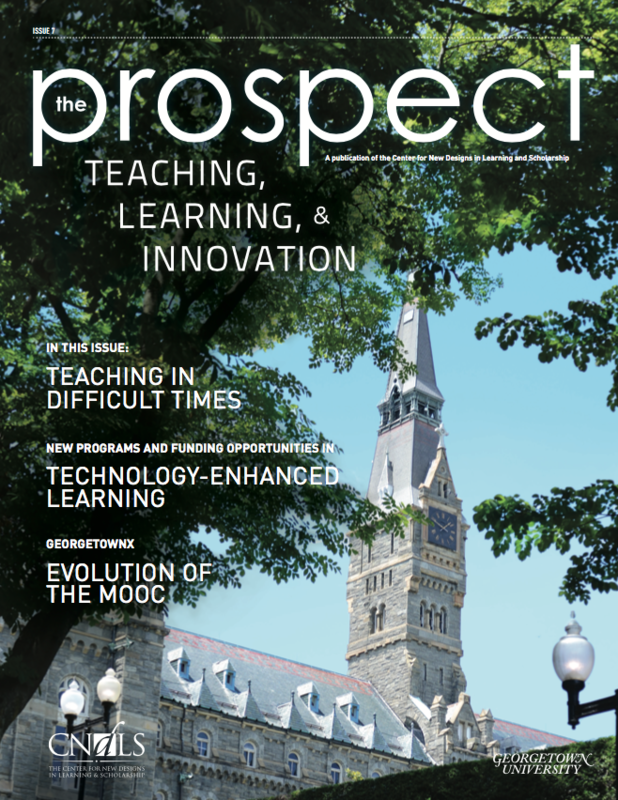 This site provides an overview of all tools and services available at Georgetown University that support teaching, learning, and collaboration. The creation of this site stemmed from a shared desire among several departments to have information about Georgetown’s teaching and learning resources housed in one place. In the past, faculty members have been overwhelmed by the challenges of finding, selecting, and getting support for tools and services in the classroom. The Unified Classroom Services Working Group (UCSWG) was formed, in part, to address the lack of standardization and procedures surrounding access to, use of, and support for Georgetown’s abundant offering of tools and services. UCSWG worked with Brian Boston and Rob Pongsajapan to update an existing CNDLS tools page based on the group’s vision for a shared university resource. The new site provides an overview of the tools (e.g., Blackboard and WordPress) and the services (e.g., course evaluations and multimedia services) available to the Georgetown community. Visitors can quickly scan a list of tools and services on the front page of the site and then see a more detailed description, models of use/faculty stories, and setup/contact information on each individual tool/service page. Supporting departments are listed on the sidebar of the site. The site was announced on January 6 of this year and has quickly become one of the most-visited parts of the CNDLS site. There has been a lot of positive feedback on this standardization of university tools and services, and CNDLS has received more interest and inquiries related to the resources. To view this updated page, please visit: https://commons.georgetown.edu/tools/. Posted January 29, 2014 by Caitlin O'Leary & filed under CNDLS.